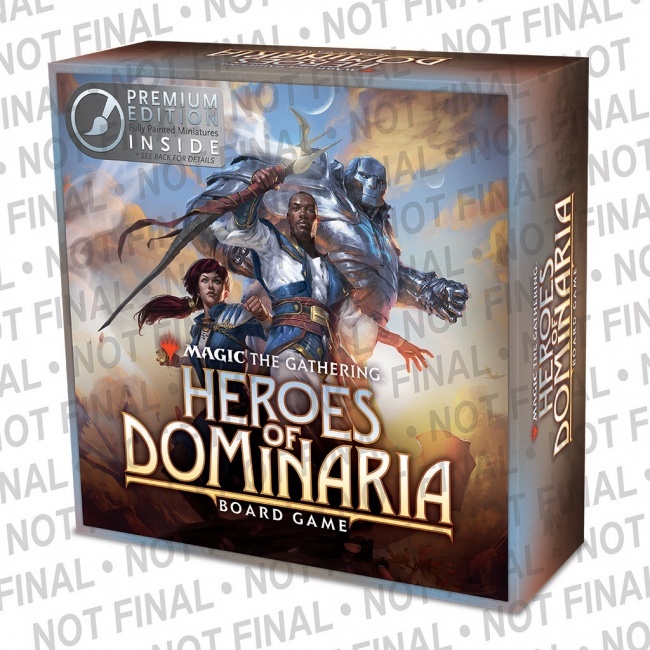 WizKids will release Magic: The Gathering -- Heroes of Dominaria, a new strategy board game, this summer. This is the first game announced as part of the expanded licensing arrangement with Wizards of the Coast last year (see �WizKids to Produce 'Magic: The Gathering' Board Game, Minis�). 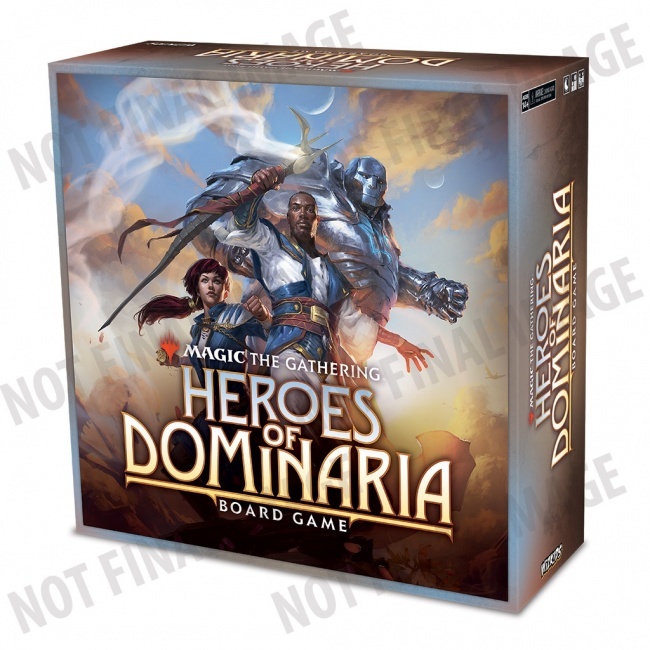 Players take the roles of powerful heroes traveling the ancient lands of Dominaria (Llanowar, Urborg, Keld), building sites and gathering artifacts before they confront the Cabal to gain resources needed to save the multiverse. Players must use strategy to build up their arsenal, and earn the most victory points overall to win the game. The box will (tentatively) include a game board, 4 player mats, 16 hero tokens, 24 site tokens, 32 leyline tokens, 150 mana tokens, 1 turn tracker token, 20 cabal tokens, 15 artifact tokens, 20 site mana tokens, 50 card Dominaria deck, 45 card quest deck, 10 public quest tiles, 20 card artifact deck, rulebook, and two-part organizational tray. The game is for 2 � 4 players, ages 14 and up, and plays in 90 minutes. MSRP is $59.99. Release is planned for August. A Premium Edition of the game will also be released, that includes 4 exclusive pre-painted miniatures. MSRP is $79.99. Release is planned for September.